As the 2018 World Cup slash 2019 Asian Cup qualifiers draws closer, we are here with another preview, this time of the India – Oman game, dubbed by many as the key clash for a potential second place and possibly even a direct ticket to the UAE. Here are some key talking points for you, pinpointed by Tom Danicek. 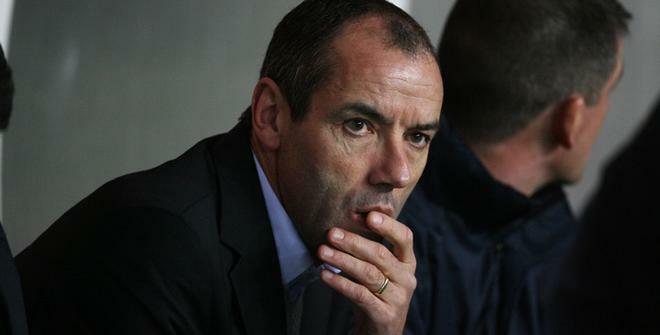 Will Paul Le Guen find some solid ground under his feet? At this stage, it’s probably safe to say most Omanis have grown tired of Paul Le Guen. Fair enough, he had revitalized the one time regional powerhouse, and yes, defensive prowess of his Oman was simply astonishing in the 2015 Asian Cup qualifiers – conceding only one goal in what was a dead rubber. But that’s a discussion reserved very much for the history books at the moment. Le Guen’s negativity, chosen as the team’s overwhelming strategy for the Asian Cup, was by all accounts disappointing, even though the coach’s hand was to some extent forced by an injury to Saad Suhail, the starting right-back without a natural replacement in the squad. One obvious consequence of such an approach and hardly any good football played against Australia, South Korea or soon afterwards is seemingly ever-present moaning from the fans. As Hamoudi from Ahdaaf testifies, Omanis now seem to complain about every single step Le Guen takes in order to make things better and win their trust back. Abdulaziz Al Muqbali, who’s just earned a prestigious transfer to Kuwait and is the second most prolific active Omani, is suddenly not good enough for the national team; even though he – if nothing else – at least moves well and wins some key fouls around the penalty area. And Al Muqbali is not alone in this, another scapegoat being Yaseen Al Sheyadi. One of the few newcomers and a potential carrier of that much needed fresh air has apparently been tagged “not good enough” after picking up just a handful of international caps; even though, purely position-wise, he comes closest to the legendary Fawzi Bashir as a number 10 of sorts (admittedly a very raw one). In short, you see, everything Le Guen does these days is fundamentally wrong. And if he can’t beat India, a mass calling for his head will beckon. In reality, of course, nothing is exclusively Le Guen’s fault. And one simple, somewhat unnoticed fact is that most of the Omani mainstays have timed their peak in performance very poorly. Raed Ibrahim Saleh didn’t exactly flourish in Australia in his emergency role as a right wing back, which is easily understandable, but some subpar performances from Qasim Said (left wing), the aforementioned Al Muqbali and established centre backs, Al Musalami & Al Mukhaini, have been rather baffling. One major concern is, indeed, how utterly lost the Omani defensive line suddenly seems to be. Their penalty area is usually under no control whatsoever, every cross stinks at the very least and if you glance at the two goals conceded in the recent friendly with Syria, you will see my point. It was a complete disaster, unlikely to be solved by just ditching the starting left back Al Busaidi and inserting Saad Suhail back on that right hand side. The veteran RB contributed mostly as a poor set piece taker, as his frequent bombing down the flank tended to be harmless, and sure, the once-upon-a-time harmonized centre halves were yet again disorientated. Is a rare battle of 4-4-2s on cards? A couple of weeks ago, I mentioned here that any variation of 4-2-3-1 formation is always expected to be the preferred one for a usual Asian side. However, this may not be true in this particular case. Albeit Paul Le Guen had reverted to an improvised 5-4-1 at the Asian Cup, and despite using Al-Sheyadi as a trequartista in a rather fluid 4-3-1-2 formation against Syria, the Frenchman could once again go back to his favourite two banks of four with two experienced strikers upfront (Al Muqbali & Al Hosni, who has somehow fallen down the hierarchy recently) and Qasim Said back on the left wing. India, on the other hand, are pretty certain to utilize 4-4-2, as Siddharth Sharma – the guy behind Indian Football Team – confirms to me. The new head coach Stephen Constantine, who has only taken charge of the national team for the two recent qualifiers versus Nepal (2:0, 0:0), has put together a healthy mix of experience and exuberant youth and clearly preferes one smaller, dynamic forward – Sunil Chhetri, who embodies both said attributes with utmost elegance – along with one taller, rather static number 9; presumably Robin Singh, a recent I-League runner up. As for the other lines, the biggest strength of this Indian side would ideally lie in defence. We’ve already brought you a comprehensive profile of the brilliant centre back Sandesh Jhingan, after all. However, the talented 21-year-old is sadly out with a shoulder injury, which inevitably means that some great deal of responsibility descends on the newly appointed captain Arnab Mondal. Besides, there’s only one notable absentee in this Indian squad, per Football News India; and that is another defender Pritam Kotal, an I-League winning right back, who was left out deliberately by Constantine. Luckily for Mondal, he leads a back four that can comfortably rely upon what Siddharth call a host of “world class goalkeepers”. The experienced and mind blowingly flexible Subrata Pal is expected to start ahead of Gurpreet Singh Sandhu, at 23 his guaranteed successor. In the centre of the park, watch out for Eugeneson Lyngdoh, a playmaker for the second-placed I-League side Bengaluru FC, who’s just been officially declared the best midfielder in the league. “India’s main weakness has been physical weakness as the wingers are quite small and frail,” observes Sharma, alluding to Francis Fernandes (right, 172 cm) and Jackichand Singh (left, 170 cm). This possible Achilles heal should definitely be noted, but there’s more to come. I’m talking about India’s poor record against national teams coming from the Gulf region. Their 2011 Asian Cup loss to Bahrain included, they are now 2-1-5 against such sides in recent times, while their pre-2011 balance is even worse (significantly, in fact, but let’s consider that irrelevant). In October 2014, India lost a home friendly versus Palestine, whilst conceding three times along the way. And their latest encounter with Oman also doesn’t really look promising – they were thrashed by Le Guen’s side 1:5 in February 2012.